If you ever pass by Sri Petaling business area, you would spotted Sushi Zento, a double storeys beautifully renovated Japanese restaurant. This time, we have checked out their latest items on their new menu with a bunch of good friends. 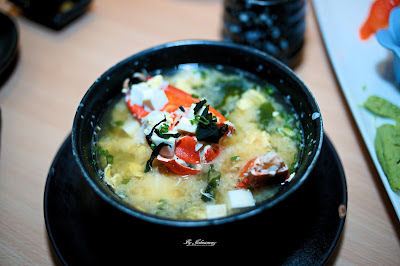 This is a must have for crabs' lovers. Indulge in a hot pot of fresh crabs with savoury soup served with a variety of vegetables, it's indeed a good start of our fantastic meal. 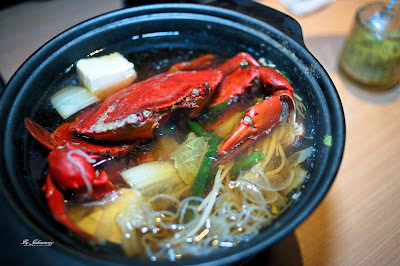 You can also opt for crabs and eggs hot pot for a richer taste. 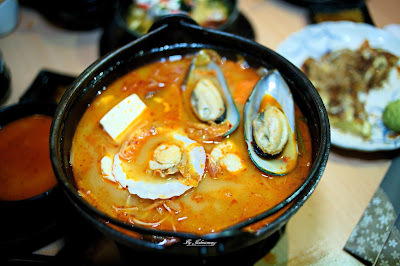 Loaded with plenty of seafood, beancurd and vegetables, Kai Mori Nabe would surely satisfy your tastebud with its hot and spicy soup. 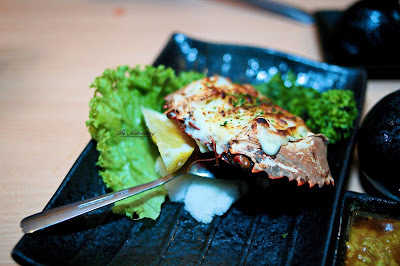 Perfect for cheese lovers, the Kani Guratan with melted cheese and mushrooms sitting in crab's shell, and served with plenty of mushrooms, scallop, crab sticks and prawns would definitely hit the spot. 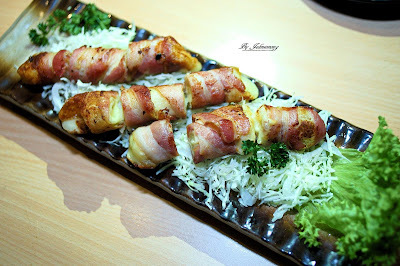 Great for cheese and bacon lovers,indulge yourselves in the cheesy yet crispy bacon roll. 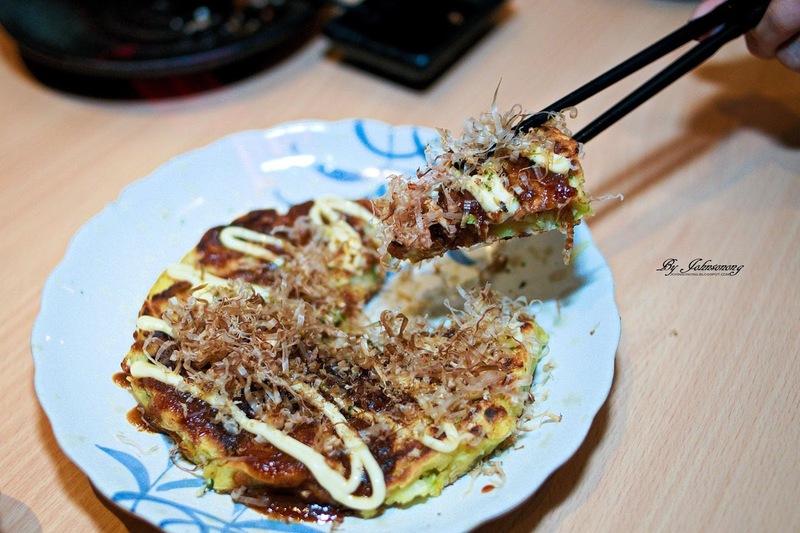 Okonomiyaki, or what some call the Japanese Savory Pancake, is a dish loaded with seafood, seaweed and ginger slice. It taste so fresh and savory. I love soba for it's unique taste. 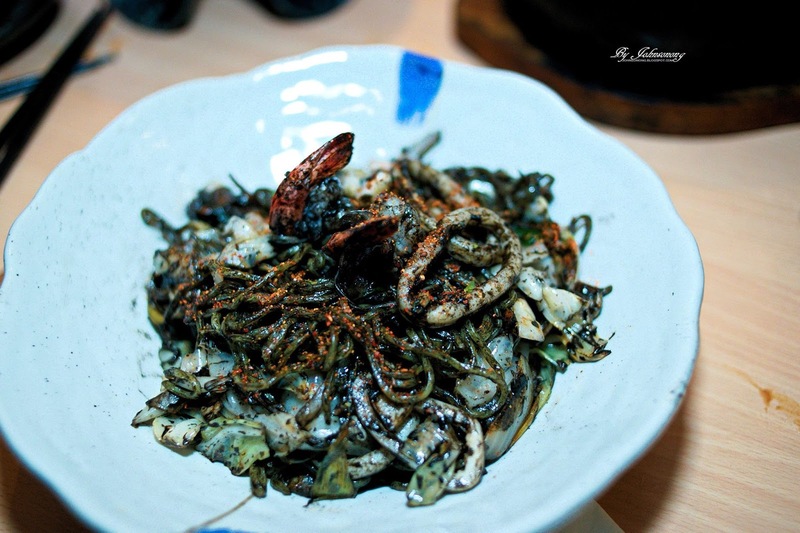 The Ika Sumi Yaki Soba is stir fried with assorted seafood, pork belly, vegetable & squid ink. Something different from our usuall soba noodle bowl. 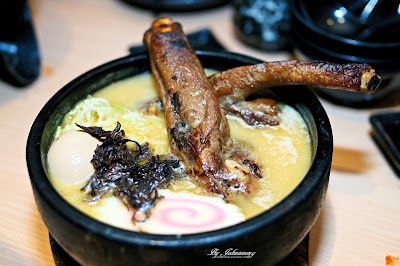 Ramen served with grilled spare rib, half boiled egg, and Japanese fish cake. This dish is one our our favourite as it has a generous ingredients with rich broth. 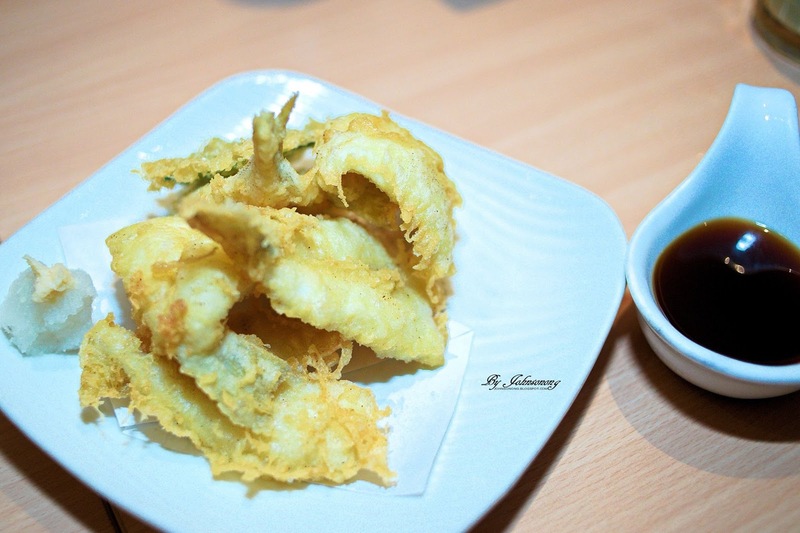 Deep fried Sillago fish is fried perfectly to crispy outside and juicy inside. There's a wide a selection of drinks available at Sushi Zento. 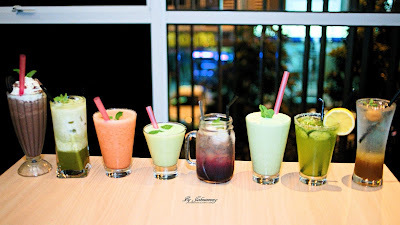 From Chocolate Orea Ice Blended, Chocolate Strawberry Ice, Ume Cooler, Farenheit, Ribena Longan, Green Tea Latte on the Rocks, Smooth Green Goddess, Smooth Avocado Milk and many more. 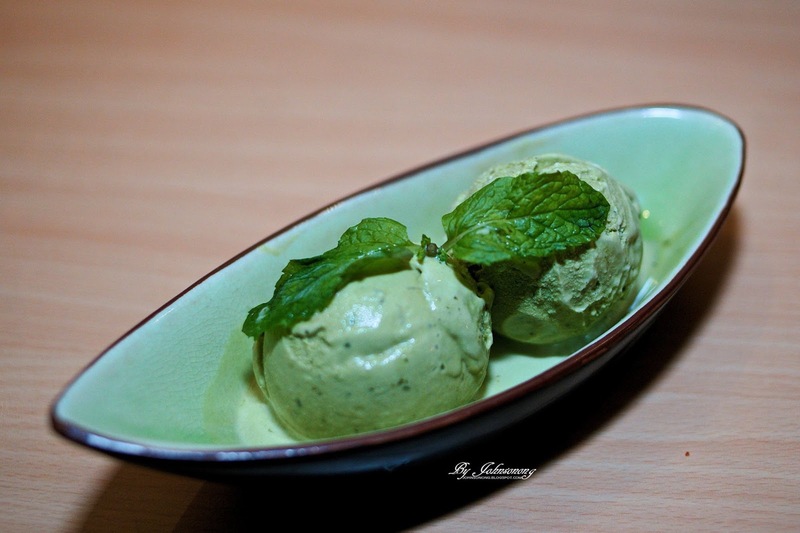 For more information on Sushi Zento, log on to their Facebook page. 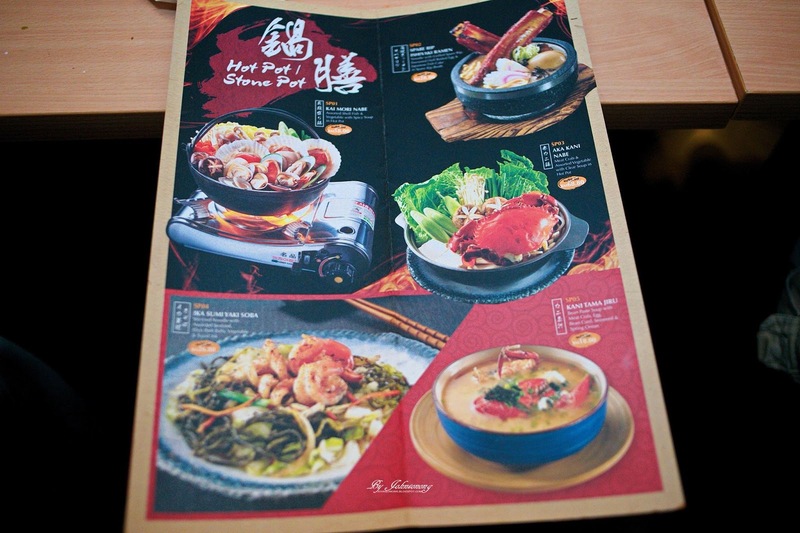 every food looks delicious here!